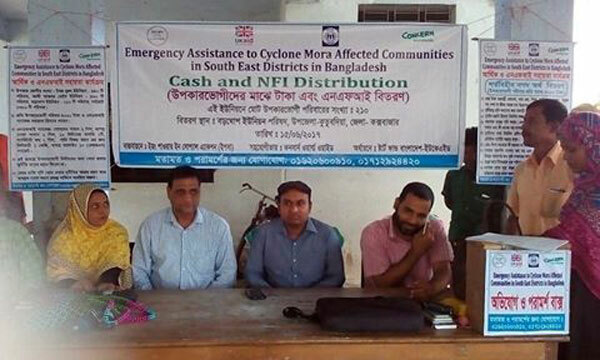 YPSA distributed cash grant among 210 cyclone “MORA” affected families in Kutubdia Island under Cox’sbazar district on 15 June, 2017. Each family has received four thousand Taka. Cash grants provided to the most vulnerable affected households to enable repairs to their makeshift homes and for other basic needs, including food. UNO of Kutubdia Upazila Sujan Chowdhury was present as chief guest during the distribution program at the Boroghop Uninon Parishad premises. At least six people died in Cox’s Bazar and Rangamati after Cyclone Mora made landfall on May 30, 2017 and crossed the coasts of Cox’s Bazar and Chittagong. At least 10 people including two children were injured and over 3,450 houses were damaged in different areas of Chittagong, reports the Daily Star. 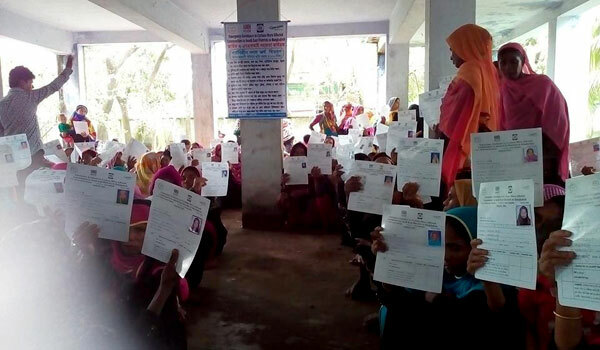 This crisis response was initiated by the Start Fund Bangladesh which is funded by the UK government and supported by the Concern Worldwide.